Offshore protections allow those involved to exploit natural resources, while evading taxes and dodge prosecution for corruption and money laundering. Mossack Fonseca, the offshore law firm at the heart of the Panama Papers leak, helped politicians, their families and businessmen rob Africa of billions of dollars, according to a new investigation. 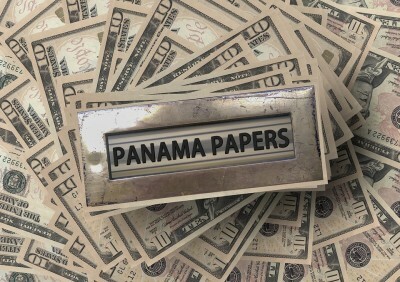 The International Consortium of Investigative Journalists, which published the leak along with dozens of international media, found that 44 of 54 African countries have a total of at least 37 mining, oil and mineral companies connected to offshore accounts. Their research, published Sunday, focuses on a case in Algeria, where Farid Bedjaoui, nephew of a former Algerian foreign minister, arranged US$275 million in bribes through offshore companies to award US$10 billion oil contracts. Twelve of the 17 companies he used were created by Mossack Fonseca in a “crossroads of illicit financial flows,” according to Italian investigators. Algeria lost an estimated US$1.5 billion annually to tax dodging, bribery, corruption and criminality between 2004 and 2013, according to Global Financial Integrity. Tax avoidance also deprives Africa of more than US$50 billion yearly, estimates the United Nations. The offshore law firm was also involved in dozens of lawsuits and allegations of wrongdoing across the continent, especially with companies—often not African—involved in resource extraction. Offshore protections allow those involved to exploit natural resources without paying taxes, to dodge prosecution for corruption and money laundering and to continue environmentally destructive practices with little oversight. “Companies may be given access to lucrative extractive projects because their owners are politically connected, or because their owners are willing to engage in questionable deals aimed at generating quick profits for a few rather than benefits for wider society,” said Fredrik Reinfeldt, head of the Extractive Industries Transparency Initiative, to ICIJ. The Democratic Republic of Congo and Nigeria were also heavily cited in the research. “Every dollar siphoned through dirty deals and corruption to offshore tax havens makes the livelihood and survival of the average African more precarious,” said Nigerian President Muhammadu Buhari at an anti-corruption summit a month after the Panama Papers were released. At least three Nigerian oil ministers and two former governors have been charged with money laundering. The plunder of Africa is only the tip of the iceberg, said the investigation: in total, more than 1,400 companies involved in resource extraction were listed in the Mossack Fonseca files.